Radial OTR Light Duty E-3/L-3 Lug Pattern tire Ideally Suited to Municipalities, Small Sand and Aggregate Operations and Other Smooth Surface Applications. 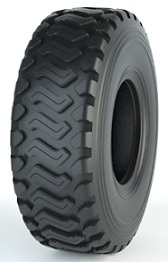 Bias Industrial Pneumatic tire Designed for Multiple Applications. 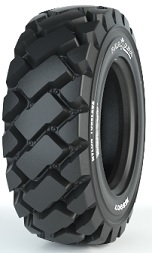 Bias Extra-Deep L-5 tire Designed for Skid Steer, Backhoe and Telehandler Applications. Bias tire for Use on Wheeled Excavators.